Aspect Gold Cleansing Micellar Water is the perfect gentle daily cleanser and makeup remover for face and eyes. Does your current cleanser leave your skin feeling tight or irritated? Are you looking for a new, gentle cleanser? Try the Aspect Cleansing Micellar Water cleanser for a gentle, easy clean feeling. Everyone can use this product: it is perfect for any skin type – especially dry and sensitive skins – and women can use this product while pregnant or breastfeeding. 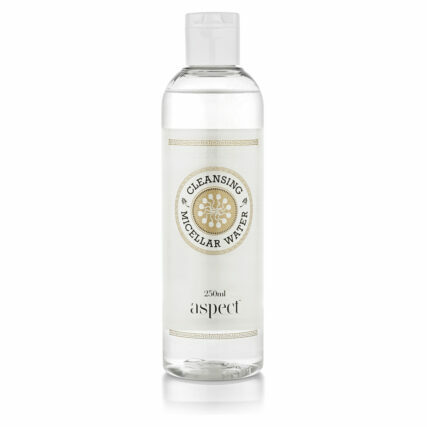 Aspect Micellar Water Cleanser is fragrance-free, with none of the typical irritants you find in many cleansers. Use this cleanser twice a day, in the morning and evening, for clean skin, and then continue your skin regimen as you desire. 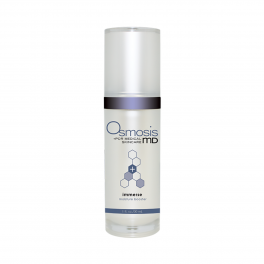 This water-based cleanser is easy to use with any others serums and moisturizers. Another exciting benefit of the Aspect cleanser? You can use this product as a makeup remover too. It will easily remove all of your makeup in just one easy step. You can even use this cleanser to help you take off false eyelashes, removing the eyelash glue that many other makeup removers struggle to take off. It is also ideal for cleansing on the go. Whether you are traveling for business or pleasure, leaving the gym, or spending a night away, this cleanser is easy to transport and use just about anywhere. It requires no water so is the perfect choice for camping. Use this gentle cleanser on your entire face, including the area surrounding your eyes. Unlike other makeup removers that can be harsh, this product is safe for use on your entire face. 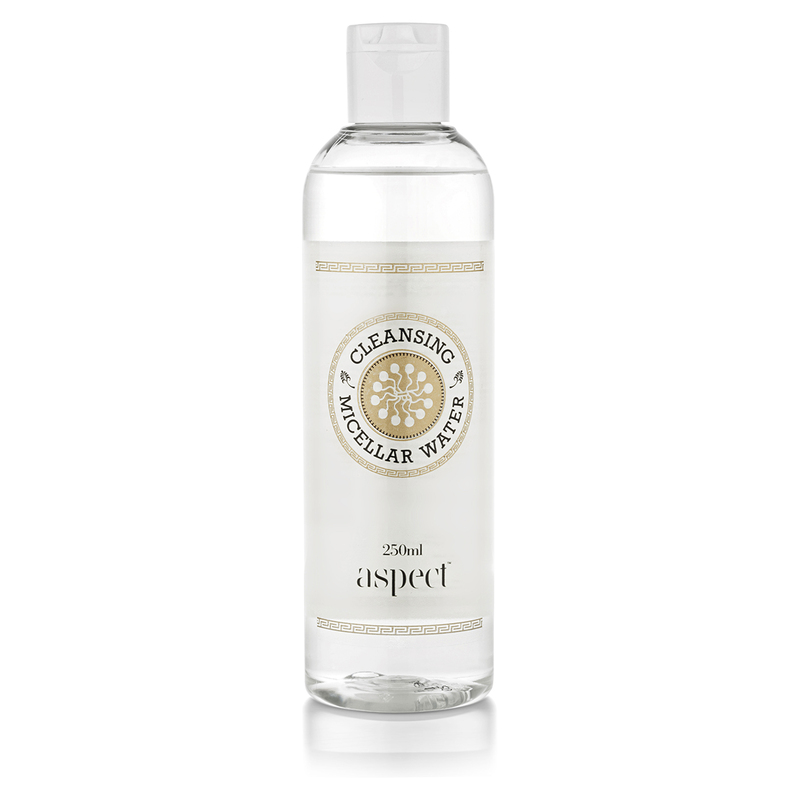 Aspect Cleansing Micellar Water is, unsurprisingly, water-based and gentle on your skin. Soak 2 cotton pads/balls with Cleansing Micellar Water. Apply to the eyes and press gently for 5 to 10 seconds and wipe makeup away until all makeup is removed. Repeat for heavy makeup. Apply using cotton pads to skin and wipe gently a section at a time until face is clean. Follow with your serums and moisturiser as needed. We always recommend applying sunscreen during the day to protect skin against sunburn and premature ageing. Fantastic all in one make up remover. It does a great job removing my make up and is particularly gentle on eyes when removing mascara. It gives me a deep refreshing clean without drying out my skin. A great easy cleaner that is easy to use leaving your skin feeling soft, calm and refreshed. Mild non-abrasive make up remover which is gentle on the skin, yet effective for removing all traces of makeup. I would recommend this beautiful product to anyone who has sensitive, acne prone or reactive skin.